﻿ Creek Road Covered Bridge - Ohio. Find It Here. 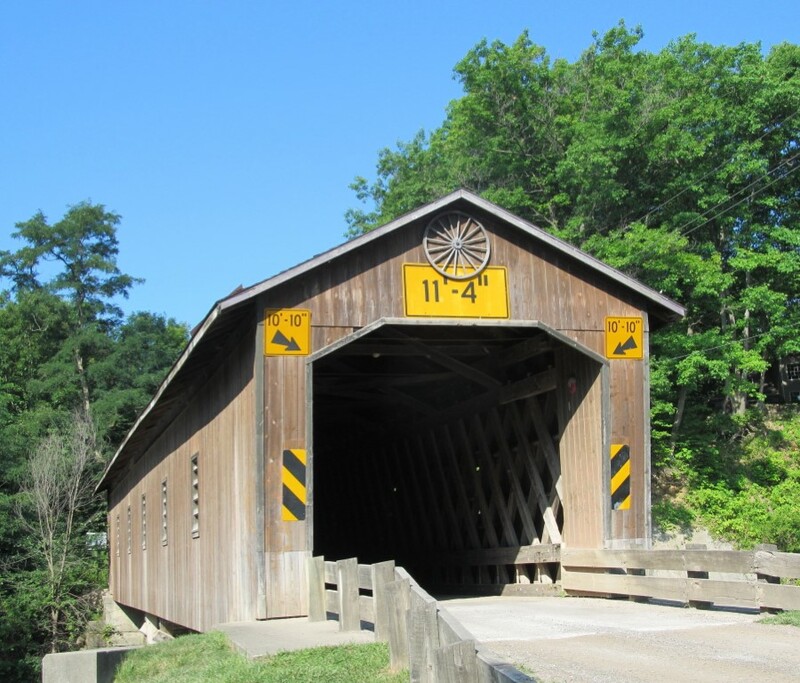 This historic covered bridge spans Wild and Scenic Conneaut Creek, famous for it's Steelhead Trout fishing. Bridge is easily accessible and can be driven through. Plenty of parking is available so leave your car, take some photos and enjoy the creek. Creek Road Covered Bridge is on of four in Conneaut, Ohio and one of 18 in Ashtabula County. Don't miss this beautiful historic structure and others throughout the county. Bridges are all free. A tour can be secured from Ashtabula County Convention and Visitors Bureau.